Secrecy for me but not for thee. Depending on which source you believe, Washington players from both the pro- and anti-Trump camps are using encrypted apps to hide potentially nefarious doings – while becoming upset that the other side is using encrypted apps. Advocates of open government, meanwhile, are worried about both sides doing so. The public, they say, has a right to know what its public servants are doing. All of this comes, of course, against the backdrop of the controversy over former Secretary of State Hillary Clinton’s use of a private email server for at least some official business – which many analysts said cost her the presidential election. 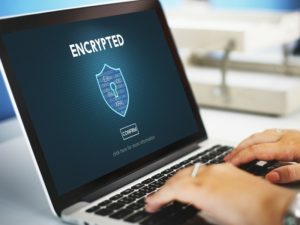 Trump administration staffers are reportedly communicating via an encrypted messaging app called Confide, the main feature of which is self-destructing messages. Axios originally reported last week that top GOP operatives and aides in the administration have been using the app to communicate out of fear that they might be hacked and have their correspondence made public. And The Washington Post reported this week that, amid the fallout of national security adviser Michael Flynn’s resignation, White House staffers are using Confide out of fear that President Trump is planning to crack down on leaks to the media. Even as the Trump Republicans reportedly are using encryption, reports The Hill, House Republicans are “seizing on reports that federal workers are using encrypted messaging apps to avoid being monitored by their supervisors.” So while the House GOP’s White House allies use apps to avoid detection, the House GOP worries about presumably liberal bureaucrats using apps to avoid detection….